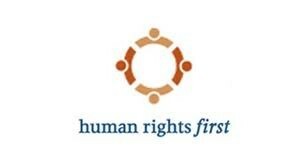 Since its founding in 1978, Human Rights First (originally known as Lawyers Committee for International Human Rights and then the Lawyers Committee for Human Rights) has worked in the U.S. and abroad to create a secure and humane world –advancing justice, human dignity, and respect for the rule of law. The organization has supported and partnered with frontline rights activists around the world – in places like Guatemala, Russia, Pakistan, Egypt, Zimbabwe, and Indonesia. It is a leading advocate for the rights of refugees seeking asylum in the U.S. The archives of Human Rights First offer a unique, comprehensive view of human rights conditions in more than 70 nations around the world during the last three decades, and provide a complete picture of the investigative, public education, and lobbying activities of this world-renowned organization. Included in the archives are administrative files, public relations documents, and case and country files. When these archives are processed, an online finding aid will be available to assist researchers in navigating and using this important collection.